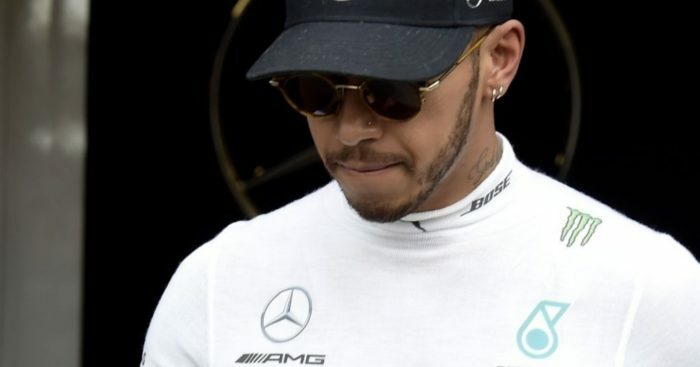 Lewis Hamilton says he’s been left with “bruises and bumps” where he’s never had them before as a result of Formula 1’s new cars. The British racer returned to the cockpit of Mercedes’ W08 on Tuesday morning for Day Two at the Circuit de Catalunya-Barcelona. “I’m finding the car is much more physical to drive than in the past. It’s so much faster in the corners,” he stated. “The force you feel on your body and on your neck is much higher. I’ve got bruises and bumps where I’ve never really had them before. “Physically I feel fine though, as it’s only half a day of testing. I’ve trained enough over the winter to be ready for more. Hamilton finished Tuesday’s running second fastest with his 1:20.983 a mere 0.023s shy of Kimi Raikkonen’s P1 time. He added: “I think we’ve made some steps forward in development.